And will they favour the Digestives or the Fingers? "Choccy biccies" by Chris Morrison. 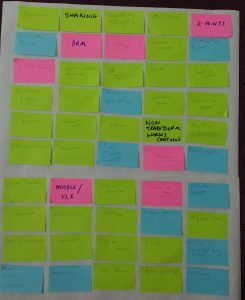 On Tuesday last week (14 June 2016 for those of you reading on catch up) I finally got round to holding the first University of Kent Copyright Community of Practice meeting. I wasn’t sure how many people would turn up and I was exceptionally pleased to have a completely full house – we even had to go and get extra chairs from another room. 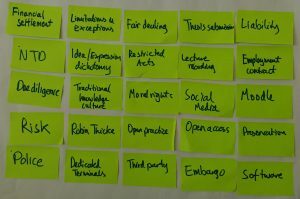 I guess the true measure of success will be in how many people decide to come back for the next one, but it was encouraging to see such enthusiasm amongst colleagues for discussing how we might help each other make sense of copyright. (In the interests of full disclosure I should say that the meeting was moved to a slightly smaller room so a ‘full house’ was actually about 15 people). The idea of creating a community of practice relating to copyright initially came from my ex-colleague Jason Harper. I had previously been a member of a project management community of practice when I was at the British Library, so had some experience of what it was about, but I wasn’t quite sure how it might work for something as specialised as copyright. For those unfamiliar with the concept, a community of practice (CoP) is an idea first proposed by cognitive anthropologists Jean Lave and Etienne Wenger in 1991. CoPs are groups that include individuals who share a particular profession or craft and allow them to share and develop tacit or implicit knowledge and expertise. They are intended to stop knowledge becoming ‘siloed’ within teams or individuals by allowing people to share information through telling stories and giving the benefit of their experience. The creation of a CoP has been the primary focus of the project to embed copyright literacy in Information Services and I think is also a hugely important part of spreading the copyright message to the wider university. Partly this is because there’s only one of me and several thousand employees and students at Kent who should be aware of copyright issues and may need additional support. Getting the message right, keeping our approach consistent and doing this at scale has to be a team effort otherwise I think people are more likely to see copyright as being someone else’s problem. Here’s what I wrote in the report where I got agreement from our IS senior management team to run the monthly 90 minute copyright CoP sessions. I’m sure as time goes on we will be able to add to these but I think this was a good start. And I was also pleased that the group thought we should be blogging about what we do and that others might want to contribute to this blog as well. Although I wanted to keep meeting relatively informal and allow people to bring up their own issues, I thought it would be a good idea to do an exercise to kick things off. 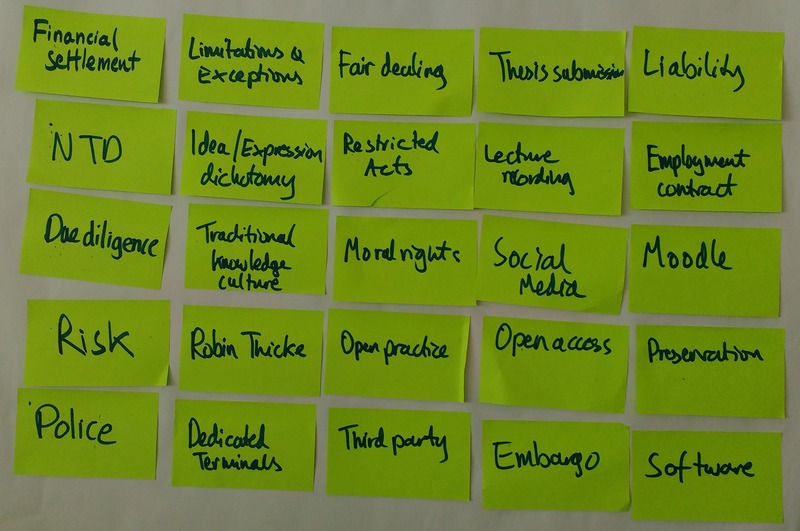 I thought it would be interesting to do a post-it note exercise to see whether I was able to think of more terms relating to copyright at a university in 5 minutes than my colleagues could. I stood facing the wall with my post-its and pen, and they all worked as a team at the other end of the room. The outcome? I couldn’t come up with anywhere near the number that they could. 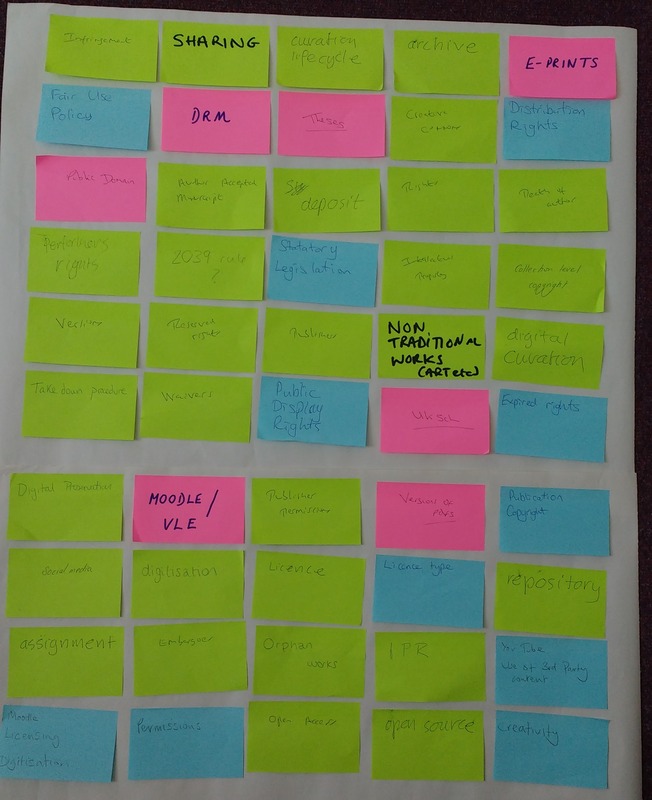 It gave us something to put into our copyright knowledge base as a starter for 10 (I’m thinking that ultimately this will be some kind of copyright map, but more of that later. I’m running ahead of myself here). The main discussion part of the first meeting was about a paper that I and my Research Support colleagues had recently taken to our Open Access Steering Group about liability for copyright infringement in research outputs and how this relates to our copyright policy. I won’t go into detail about that at this point at this stage because we’re planning a separate blog post which will show the steps we took to raise this and what we did afterwards to make things better. Having said that we had an open an honest discussion about how difficult it is to spread the message about copyright and where responsibility lies for minimising institutional risk. It was great that we could turn this towards something positive and there are plans afoot to update our guidance, training and support which we will share via this blog in due course. So it seems we have a bit to be getting on with, but hopefully these conversations will lead to people from throughout the University feeling more empowered when it comes to copyright. So far I’ve been inviting those from Information Services and our Learning Technologists in UELT. However I’d like to extend this invitation more widely – to others at Kent who want to know more and also potentially to those in other institutions (as long as they don’t mind buying their own tea or coffee). Please let me know if you’d like to know more about what we’re up to at Kent, or if you’re interested in contributing either via copyright@kent.ac.uk or @cbowiemorrison. And also thanks so much to everyone who made the time to come along for the first meeting and I hope to see you all again soon. 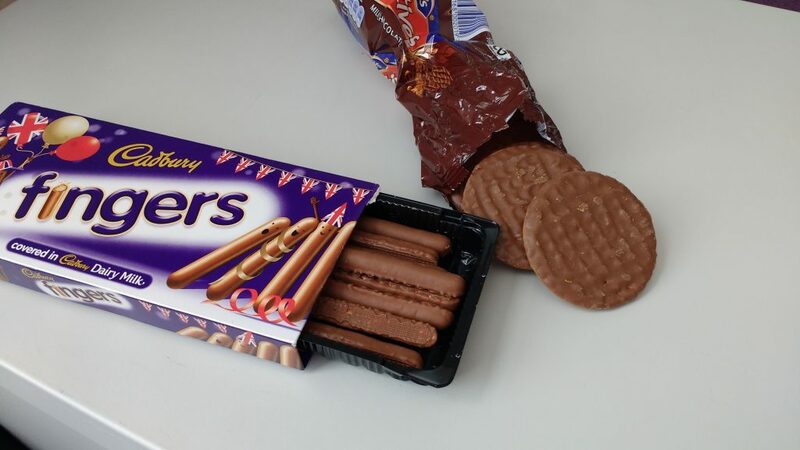 Oh, and the biscuits – Cadbury’s Fingers more popular than Digestives by a ratio of roughly 3:1.